I tossed a frisbee at the park today, and ate some fruit salad. Finally got the bike tuned up for evening rides around the borough. But when I haven’t been eating early-morning donuts or late night vegan ice-cream, I’m still in scouring these stoop sales, flea markets and elsewhere. Here’s some more laid back selections to play with the windows open and a breeze flowing in. I ate an incredible nectarine today while walking back home in the sun, after spending a couple hours catching up with a good friend. It was one of those mid-summer mornings where it’s important to get out of the house, but not to do it in a rush. I got an extra hour of sleep, and drank a cup of fresh coffee, reminisced with another friend from college, then laced up the sneakers and rolled out the house. 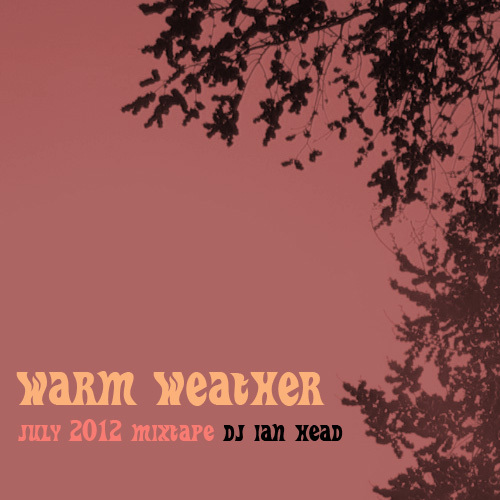 Maybe I should call this tape “one summer morning,” except the afternoon of putting it together plays into it as well. Kind of a contemplative little piece, something I hadn’t planned on doing – there was a stack of records mostly ready to go for a different tape completely, but when I tried to mix them this afternoon it didn’t feel right. So, I pulled a new stack and started from scratch. It’s just a few tunes, more selection than mixing, and hopefully the vibe comes through. I appreciate that I am able to take a moment and chill for a second, take in some sun, eat some good food, kick it with some good people. And bump a few records. NOTE: RIP Eugene McDaniels. Orignally I knew about him because of the legendary beat-digger album, “Headless Heroes of the Apocalypse,” but soon realized how significant he was to music in general, composing many tracks for Roberta Flack, and writing the songs “Compared to What” and “Feel Like Making Love,” among others. He had a crazy, unique voice, creative production styles and dropped a lot of politics in his later songs. His first big hit, the anti-Vietnam “Compared to What” as played by Les McCann and Eddie Harris in 1969, finishes off this tape. If you don’t know about him, look him up. I have my AC unit and two little fans, but it’s still pretty hot in my 3rd floor apartment in Brooklyn. So I stay up late, eating tofutti cuties and making mixtapes. 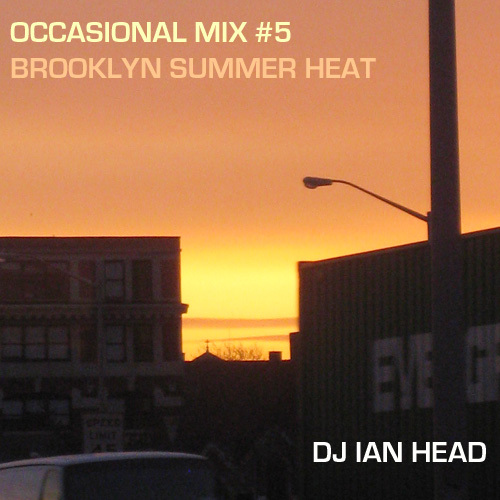 I don’t really have a lot of house-type music, but here’s a couple soulful, uptempo jams roll to in your local borough, as we float into the middle of summer. All-vinyl mix. Hope you enjoy. 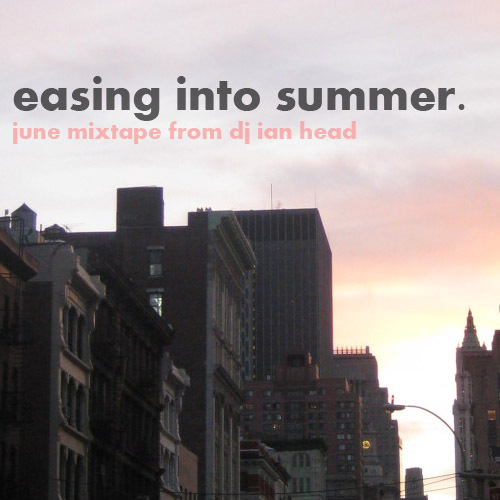 It’s July, summer is here, and I wanted to keep the vibe movin with something upbeat this month. 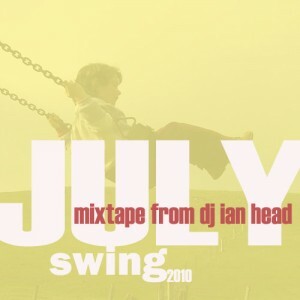 Dug around in the crates for some flavorful instrumentals with that (swinging) combination of hard beats, jazzy horns and raw basslines from classic producers. Basically, this is something you can either put on the boombox and marinate to, or put on at the backyard party as the sun is setting and get your groove on. It’s the swing of the drum programming or the bodies on the dancefloor – or both. I tried to keep the selections flavor but bring back some records that might have gotten passed over or forgotten. People might be surprised by Jay Leno’s voice at the start, but it gives context to the classic “Breakfast at Denny’s” jazzy 90s experiment of combining DJ Premier and Branford Marsalis. Classic material. Also, wanted to let everyone know I dropped a bonus mix of hip-hop last month – Occasional Mix #2 – which you can download by clicking here. As KRS would say, feel the vibe, feel the beat. 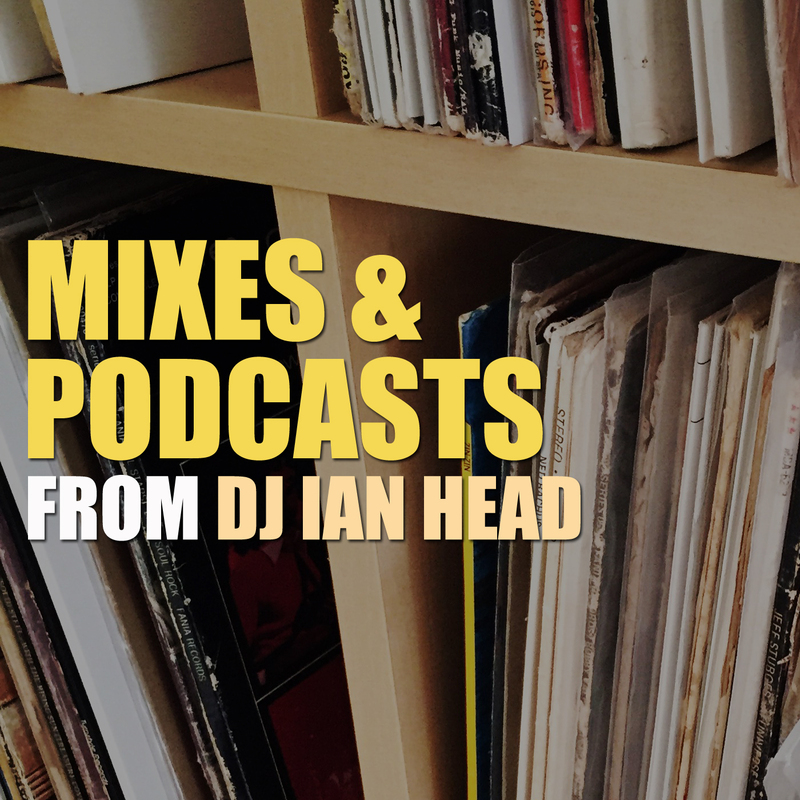 With so much craziness and negativity in the world right now, hopefully these mixes take your mind somewhere else for a little while. Enjoy. The past week in the Apple has been increasingly sticky-hot. My fan was set on High, and I probably consumed half a gallon of water while laying down this tape early this morning, racing over to dump a couple ice cubes in the glass after mixing in a record. Even having spent close to half my life on the East Coast, I still can’t quite get used to the thick, humid air. So I keep it a little slower, stroll up the block to the bodega at half-speed. Try and coast around Brooklyn on the bike. Especially that easy evening sun, slight breeze, rollin over to check some friends to post up and grab some food. Really, I’m glad it’s about to be summer, even if it is a little sweaty and grimey. 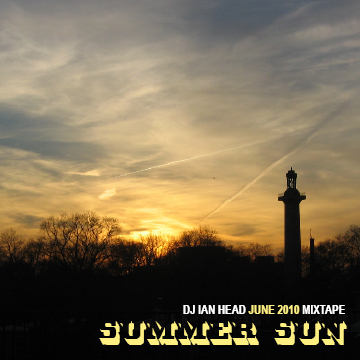 This is a short collection of more relaxed joints as we ease into summer. Some are themed for the season, others just remind me of the sun, or driving home at night with the windows downm, back when I didn’t live in New York. And a couple remind me of some hip-hop records that spoke on NYC summers and inspired me to come out here in the first place. No track listing this month, but you should check your Lonnie Liston Smith collection. Hope you dig it.